Betty Ann McCall was a champion accordion player, taught by Anthony Galla-Rini. In July 1953 she started her own accordion school on Excelsior Blvd. in St. Louis Park. 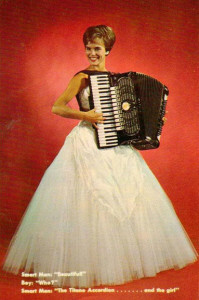 At the time she hoped to form an accordion band, which she succeeded in doing. Her 1954 ad in the Park High yearbook the Echowan said “At low rates to you.” She is listed at 4321 Excelsior in the 1954-56 phone books and at 6021 Excelsior in the 1958 book. She is not listed in the 1960 SLP directory. 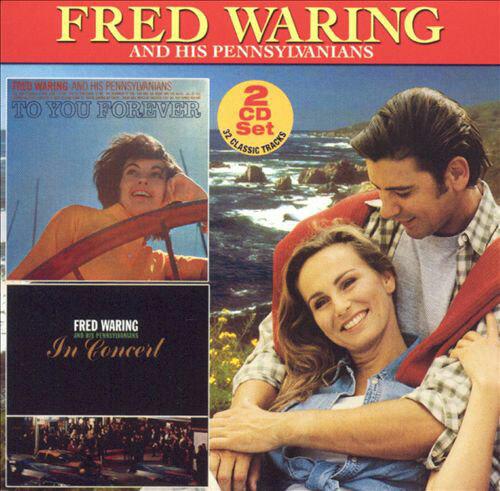 In 1959 she was a finalist in the Miss Minnesota contest. The photo below is undated but is probably from the ’50s. 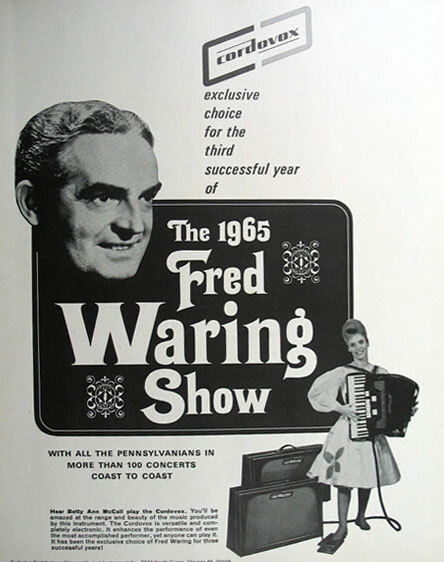 In the 1960s she played the new Cordovox accordion on tour with Fred Waring and His Pennsylvanians. 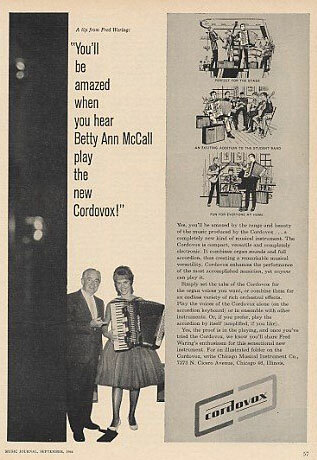 At that time the Cordovox included two unwieldy suitcase size units filled with vacuum tubes plus the twenty four pound accordion, interconnected with a cable several inches in diameter. 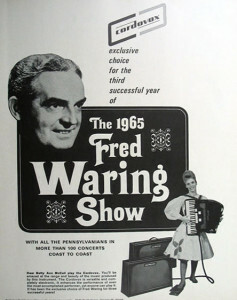 Waring’s show, “Wonderful World of Music,” came to the Met Stadium on July 1, 1963. A local newspaper called the Banner reported that she had just returned from an extensive personal appearance tour of Europe.